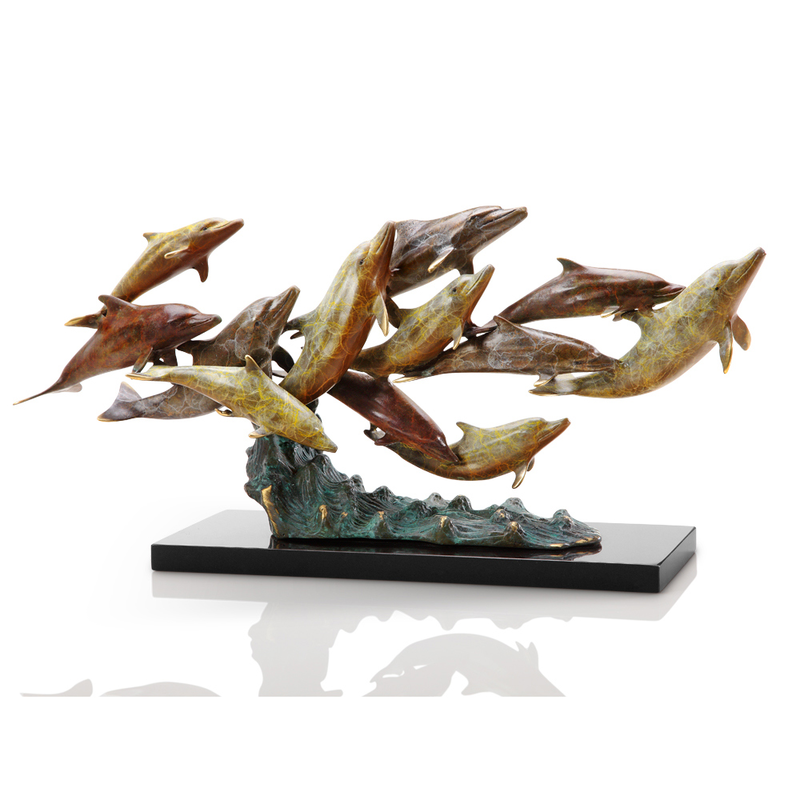 Make a statement in your room with the Dozen Swimming Dolphins Sculpture, adorned with a beautiful depiction of dolphins in motion for a true sea-inspired feel. ~ Ships from the manufacturer. Allow 1 weeks. Cannot express ship.